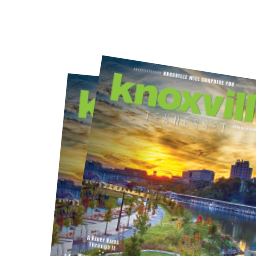 For some reason, when we talk about Knoxville industry, we talk about textiles and nails and machinery and chemicals and stone and lumber. How come we always skip the fun stuff? A century ago, believe it or not, this city was also a center for the mass production of candy, including a wide variety of chocolates. 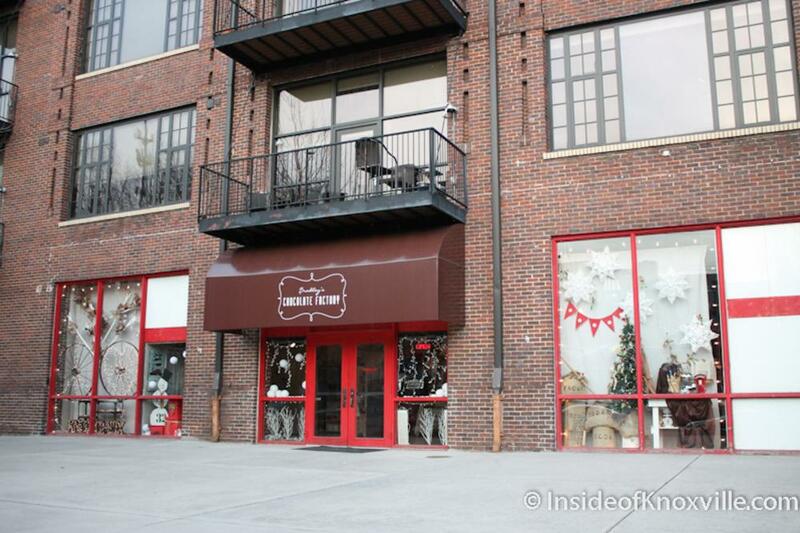 At one time, several hundred Knoxvillians worked full time making candy in local factories and kitchens. 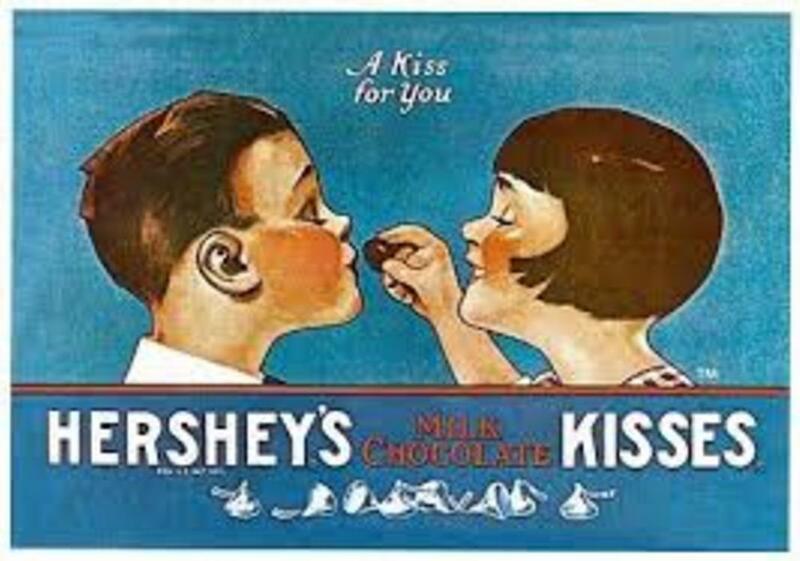 As late as 1930, Knoxville candy was sold over most of the nation, and in some foreign countries. Peter Kern, the jolly German who started it all, was proud of his bread, which he baked in the big Kern building at the southwestern corner of Market Square. But during his lifetime, the business was more diversified than the Kern’s Bakery that many of us remember. In the same building, Kern also had an extravagantly large soda fountain, a prolific ice-cream maker (to supply the Ice Cream Saloon, in the same building). And he made candy. Lots of it, apparently. “Has constantly on hand…a complete assortment of Candies, Home Manufactured,” goes one 1869 ad. Then, in capital letters: “FRENCH CANDIES.” What did they mean by that? Bonbons? Pralines? Ganache truffles? I don’t know, but even in those grim, divisive days after the Civil War when the battered city was barely hanging on, people cared. 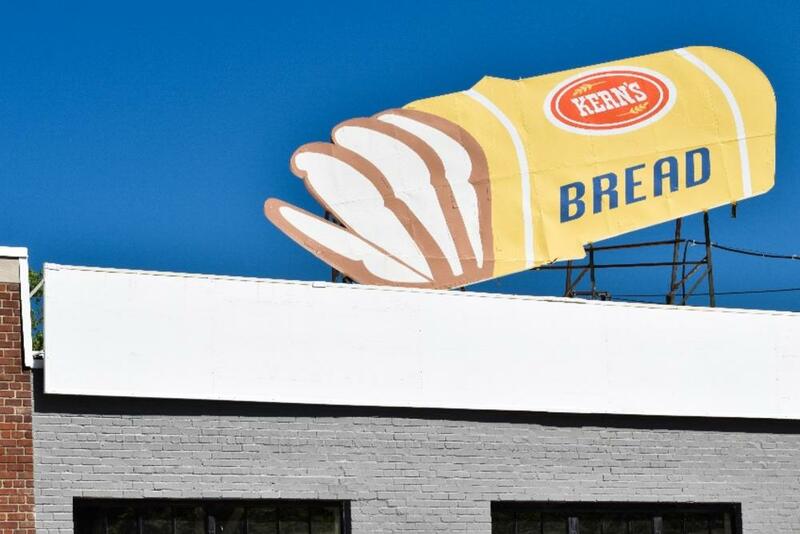 Kern always baked bread, too, but his ads often suggested that candy was the bigger draw. "Confectioner/ Manufacturer of Candy. And Dealer in Foreign Fruits, Fire-works… Ice Cream and Fresh Oysters.” Kern’s was a candy, fireworks, and oysters sort of a place. By the 1880s, Kern&apos;s claimed to be the “Largest Candy Manufactory in the South." We don’t know very much about what kind of candy he carried, but it stands to reason that when a German makes candy, chocolate is going to be in the mix. Still, Kern wasn’t the only candy manufacturer in town. By 1870, the three Spiro Brothers, from Austria-Hungary, were working as confectioners on the 400 block of Gay Street (“across from the Old Base Ball Grounds”), and advertising candy, “prepared to fill orders at the shortest notice." By the 1880s, several local firms were making sweet stuff. 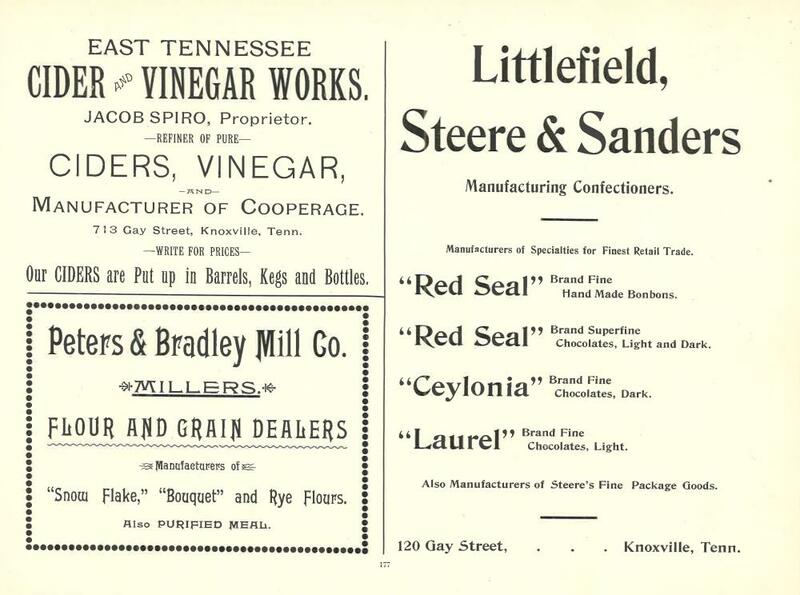 Even before we had electric lights, Knoxville’s City Directory had a specific category listing for "Candy Manufacturers” listing as many as seven competing candy makers in Knoxville. One of them was another German immigrant, Frederick W. Kuhlman, a prolific candy maker from Osnabruck. Just slightly younger than Kern, he arrived in America as part of the same politically driven wave of refugees. His son later founded a local drugstore chain. Kern was the granddaddy of them all, and much beloved everyone except perhaps his candy making rivals. In 1890, Knoxville elected him mayor. It was unusual to elect a guy with a German accent to be mayor. If you make candy, maybe national origin doesn’t matter. By the time the old man died, in 1907, there was another claimant to that title of biggest candy manufacturer in the South. As it happened, it was in downtown Knoxville, too. Most of our candy makers were from somewhere far away. Several of them seem to have been refugees of one sort or another. Peter Kern, Frederick Kuhlman, and the Spiro Brothers was all refugees from political oppression in Europe. 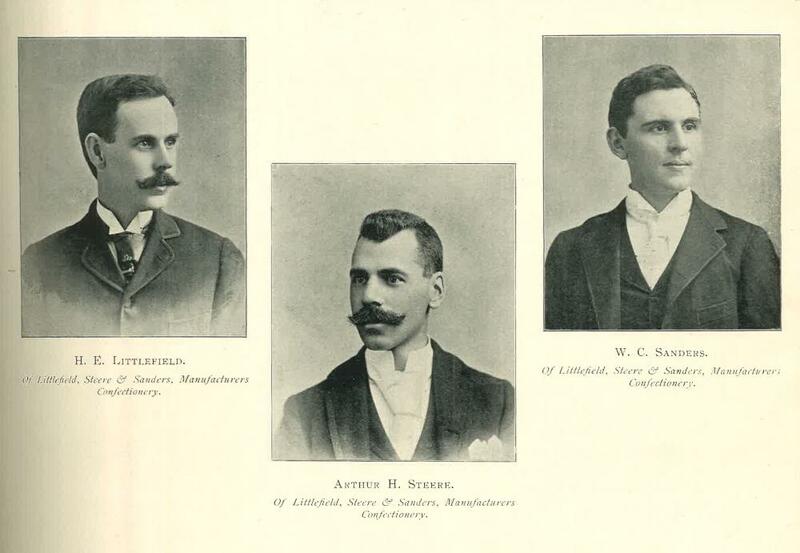 Henry Littlefield and Arthur Steere were refugees from dangerous microorganisms. They were both Northeasterners. Steere was from Rhode Island; Littlefield was from Maine. Friends, both of them sportsmen, they had been young men hanging out in Florida until the yellow fever epidemic of 1888, and Knoxville started looking like the perfect compromise. Not too cold, not too germy. Littlefield and Steere started making candy downtown in 1889 or 1890. By 1900, located at 120 S. Gay Street, they were booming, employing 100 in the factory, not counting salesmen on the road, distributing the Knoxville product to eight states in the South. It was, by then, a million-dollar business, which was a big deal in 1900. They were then producing as much as 10 tons of candy per day. Considering that some of their specialties were very lightweight fare—bonbons and marshmallows—that’s a whole lot of candy. Along the way, maybe because Littlefield and Steere is a mouthful, they established a brand: Red Seal. It represented 400 different varieties of candy manufactured by the company. Steere was apparently the chocolatier of the duo, because many of their chocolates were given a “Steere’s” brand, and they were among the company’s biggest sellers. By 1910, they were making deliveries in 30 states (there were only 46 states at the time, so that was a big majority of them). Their factory moved around the corner to a four-story building next to the old firehall on Commerce for a few years, before 1915, when they built a much bigger, grander modern factory along the L&N railroad line at the west end of the Clinch Avenue viaduct. There they employed 200 men and women in the manufacture of candy. 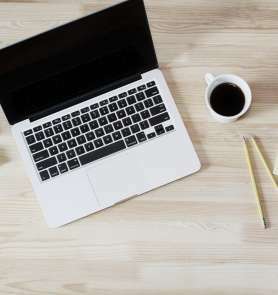 Their success was such that others were ready to borrow their business plan, and even their old facilities. Burton Lee Johnson moved his candy-making concern into Littlefield and Steere’s old place on Commerce, and remained in business for another 40 years. Founder Littlefield died suddenly in 1923 at age 61. His son Arthur, already being groomed for the role, tried to lead the family business into a new era, and seemed vigorous and open-minded about trying new things and ever-changing opportunities. They came up with new products to welcome the nation’s new fascination with the Great Smoky Mountains National Park, which began drawing tourists even before it was formally open. By 1927, Littlefield and Steere was pushing the Smoky Mountain Dew Bar, of which they claimed to be selling 2 million a year, much of it through tourist hotels. They were excited about their “plastic Bon Bon Machines,” impressive modern inventions they claimed were unique in the South. By then there was more and more competition from the big companies, Nestle and Hershey, and several other companies with suddenly popular novelty products like Milky Ways and Baby Ruths and Snickers. The Great Depression was hard on everybody, and it was hard for families out of work to prioritize buying fancy candies. They had some personal problems, too. In early 1930, Arthur Littlefield’s six-year-old daughter came down with meningitis. After lingering in Fort Sanders Hospital for a week, she died. Just a month later, Arthur himself came down with a bad sore throat and died, himself. That vigorous representative of a candy-making family was only 33. About two and a half years later, in the midst of a Great Depression, with both of the visionary Littlefields deceased and Mr. Steere approaching 70 with no children of his own, Littlefield and Steere closed their factory. Their fancy big building, not yet 20 years old, was refitted for a brewery. Prohibition was freshly ended, and Knoxville looked like a great beer market. It apparently never happened. The empty building welcomed refugees of the Ohio River Flood of 1937, and later served as a warehouse. Meanwhile, one B.L. Johnson, a onetime competitor of Littlefield and Steere, ran another candy factory until the 1950s. Johnson was known for an unusual marketing plan, hiring an actor to read his inspirational poetry on WNOX radio. Not quite half a century after it closed, the Candy Factory was rediscovered by new generations as one of the more fun buildings associated with a World’s Fair. It became a candy factory again in 1982, a legacy that returned several years after the Fair, when the old Candy Factory’s ground-floor space served for about 25 years - longer in fact than Littlefield and Steere had operated there, in fact - as a Chocolate Factory. This year, Chocolate Fest is happening in World’s Fair Exhibition Hall - just a chocolate truffle’s throw from the place where we were producing chocolate candy by the ton, a century ago.